Without a doubt, at least some of the buzz with FinTech has been associated with online banking (and recently, mobile only) banks, such as Moven and Simple. There are fewer startups in this space compared with either alternative lending or wealth management, yet it’s an important FinTech segment. In truth, some are not true startups, but standalone offerings branded separately from their parent (e.g. Simple was acquired by BBVA, but operates as a standalone brand). Some services, such as Bluebird from American Express, also aren’t truly banks, but position themselves as bank alternatives (offering mobile services with a debit card). Yet overall lately, it seems like a brand new world of banking. Or is it? I’d like to put context around the rise of these pure play providers, and provide a view on why they might struggle to reach scale, yet shouldn’t be ignored. For those less familiar with the US banking market’s historical peculiarities, due to the federal system and decentralized approach to regulation, for a long time it was fairly difficult in the US to operate bank branches across state lines. With the passage of the Bank Holding Act, and other regulatory changes, together with rise of the superregional banks, and later consolidation due to M&A, interstate banking came into being over the last three decades. Today the US has four big national banks – Bank of America, Citi, JP Morgan Chase, and Wells Fargo – yet is also is remarkable for its huge number of banking institutions (over 6,000) including local banks, credit unions, and the like. Beyond consolidation, technology started to enable a lot of things at banks to operate at scale, including the ability to serve clients from call centers. 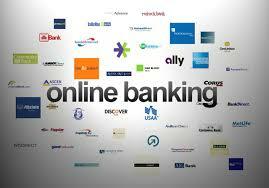 In the mid to late 1990’s, the US industry also saw the emergence of online banking. While generally the banks, who traditionally have accounted for around 40%+ of the world’s technology spend, did not miss the rise of the Internet, there was a wave of startups that focused on disrupting traditional financial services. 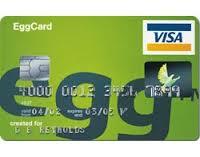 Working in London for Gemini Consulting at the time, I was involved in the launch of egg, an online only bank from Prudential Assurance PLC, the UK’s largest insurer. It did well, meeting its 5-year growth target in 6 months, gathering $5B in deposits. (My role was focused on the launch of Egg Investments as part of a stellar team including John Casey, Head of Product, my boss on the project, in particular partnership deals with content providers, such as Motley Fool and Morningstar, working alongside Rob Hudson, now at Aberdeen Investments in London). Yet I’d be the first to say a more typical result of this wave of online banks was that of WingSpan Bank, which went from launch to swift demise within two years. The truth is most people value digital channels, but want other channels on occasion. After what a former boss calls “the lost decade”, when few FinTech startups made much impact, and innovation occurred in hardware, networking and then cloud-based software, we are seeing startups very much like the first wave of online banks. Say what you will – heirs to same maverick spirit, a desire to remake banking, or just work at a place more like Google than the US Post Office, which how it felt working in banking at some points, I’ll admit, the new startups are getting some good press. My goal is not to provide a comparison of any of these services, since that’s found on sites like SF-based NerdWallet, but rather share that my view is that these new startups will struggle, as did their precursors in the first wave of online only banks. While technology changes, and game changers like AWS make businesses much easier to scale, I predict they will struggle to gain customers profitably, just as their forebears did. The business of banking requires scale, service, regulatory focus, a brand, and the incumbents have a lot going for them (even despite fact that US & UK customers do tend to dislike their banks). I would look for many of the banks to get absorbed, and while I’ve read that Millennials prefer to use alternative solutions (and I wouldn’t write off the FinTech space around payments, such as Venmo or Apple Pay), I feel the acquisition of Simple by BBVA underscores a lack of ability to scale. I’ve already started to read predictions that Moven will be bought by PayPal in 2015. We’ve seen this movie before. So, while Alex Sion, CEO of Moven said, “We’re heads down and hell bent on changing the world of banking,” when he jumped ship from Citi to join Moven in 2012, I remain skeptical about the outcome. It’s clear Moven can raise money, has a superb PR team, and can forge alliances to build press, but look at how its banking app is rated on iTunes, Google Play store, or what people say on Credit Karma: It’s average. A recent summary from Business Insider shows how Moven ranks vs. competitors – and it’s not pretty. 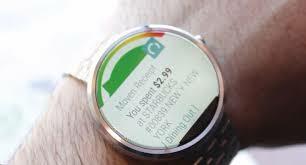 This month’s launch of a Moven smart watch app generated lots of headlines, but to me was underwhelming. At the end of the day, the financial health app (which is really just a port of its mobile app) was simply not compelling vs. what some of the other innovators, like Intuit, are doing these days in FinTech. A key take away for me from the ratings for online banking and mobile banking is the banks are actually doing this pretty well by now (as well as offering multi-channel solutions), having invested and learned over the last few years. Bank of America – led by great executives such as Paul Appleton, who works in retail bank strategy (and joined from Morgan Stanley, where I helped his team launch products/services, including online money transfer) – is viewed as an online banking leader. Some of my former co-workers at Hill Holliday, including Leslee Kiley, an EVP there, produce really outstanding work for BofA and its wealth management unit. (I worked at Hill Holliday for a couple of years, primarily working on the Fleet account, which was acquired by Bank of America in 2004). JPMorgan’s known for its in online banking – serving consumer, middle market and corporate segments across a multi-channel infrastructure (managed by a former mentor, Yiannis Roussochatzakis). With a technology budget of over $20B, and a particular strength serving both consumer and small business/middle market consumers, BofA’s rightly well regarded. Focused upon online solutions for treasury/corporate clients, another former colleague, Nick Donohue (who worked with me in the Financial Services unit at Scient, along with Cesco Paola), delivers highly regarded solutions that are unlikely to be “disrupted” easily by an online only / digital bank. One piece of news in the last week was that BankMobile launched what it claims to be the first mobile-only bank. 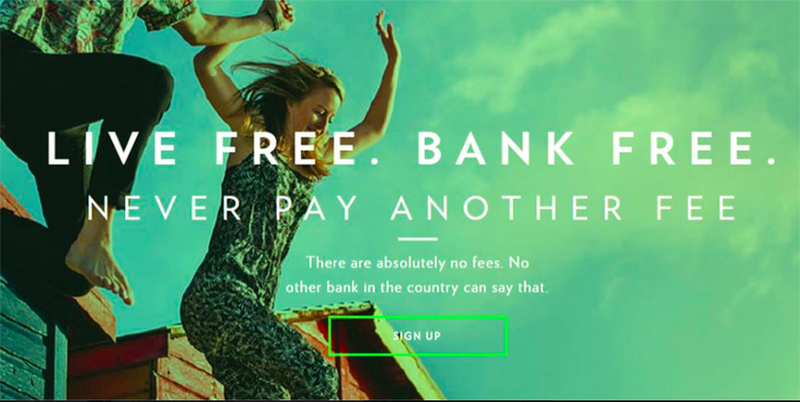 The good news is that it seems pretty well done, but other news is – surprise – it’s a service from an existing bank. To sum up my view on online banking: Go ahead follow the innovators, including venture-backed startups, but don’t expect them to scale. They can innovate, but at the end of the day, true disruption may be asking too much if history (and my own experience) is any guide. One big caveat I would add is the global impact of mobile banking (given the % of the world with smartphones vs. desktop access to the Internet) is significantly different – but that’s a separate topic for later discussion. What’s ahead for FinTech as an industry in retail and mobile banking is still exciting since anyone can tell you that online and mobile banking, while pretty good today at the banks that really invest in user-centric design and technology (and service), can easily get better. 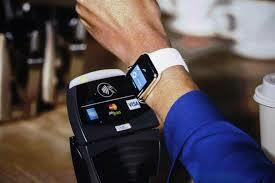 Following the lead of Apple and Uber in payments, look for continuing innovations to come. Open API’s, the emerging Financial Application ecosystem (such as with Yodlee Interactive), smart watches (and the Internet of Things in general) all still point to plenty of white space for startups and others to innovate. Posted on January 22, 2015 February 5, 2015 by Michael Halloran	This entry was posted in Uncategorized and tagged Bank of America, Egg, JP Morgan, Mobile Banking, Moven, Nerdwallet, Online Banking, Simple, Wells Fargo. Bookmark the permalink.